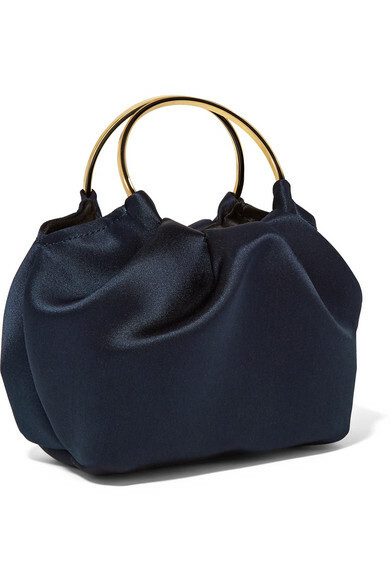 The Row's 'Double Circle' tote is perfect for evening - the micro size fits just the essentials, while the slim gold handle looks like a gleaming piece of jewelry when worn around the wrist. 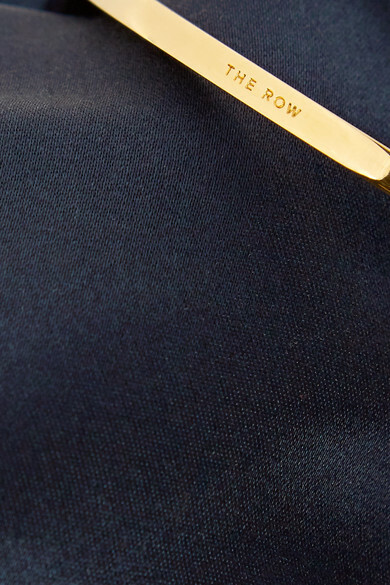 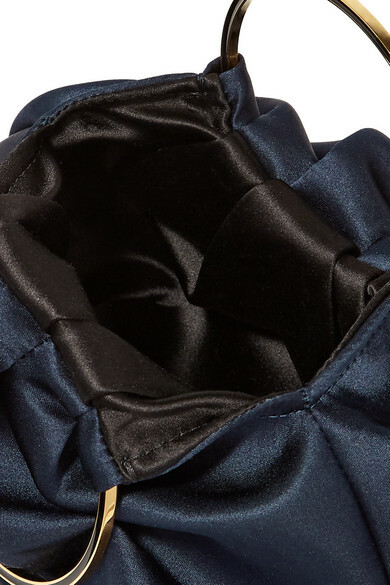 It's crafted from deep navy satin that complements both rich jewel tones and muted neutrals. 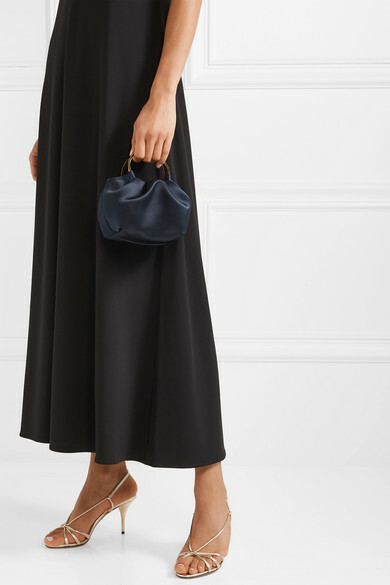 Shown here with: The Row Dress, Prada Sandals.